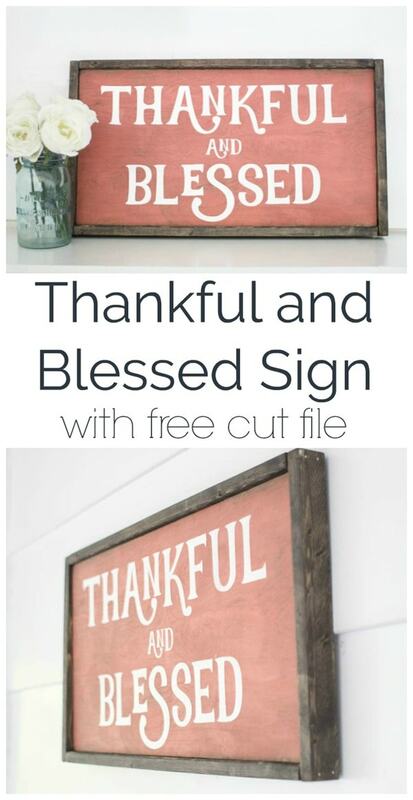 DIY Thankful and Blessed Sign with Free Cut File - Lovely Etc. 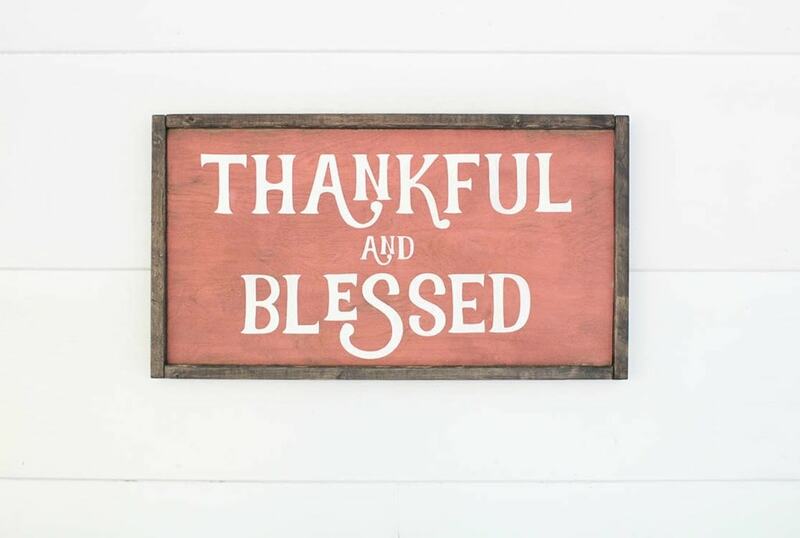 I’m sharing a sweet DIY painted sign today that’s absolutely perfect for fall. I actually was selling this Thankful and Blessed sign in my Etsy shop for a short time. But I quickly found out that the etsy shop was way more time consuming than I imagined and I had to put the shop on hold indefinitely. But I adore this sign way too much to have it disappear just because I am not currently selling it. So I decided to give you guys all the details to make your own including free cut files to use with a Silhouette cutting machine. This post contains affiliate links; see my full disclosure here. This sign design and files are to be used for personal use only – not for commercial purposes or resale. Okay, so first a note about the the Silhouette. For those that don’t know, the Silhouette is a cutting machine that can cut vinyl, cardstock, iron-on transfers, stickers, and lots of other materials. So why use a Silhouette at all? Well, I’ve made tons of DIY signs without one and they turned out fantastic. 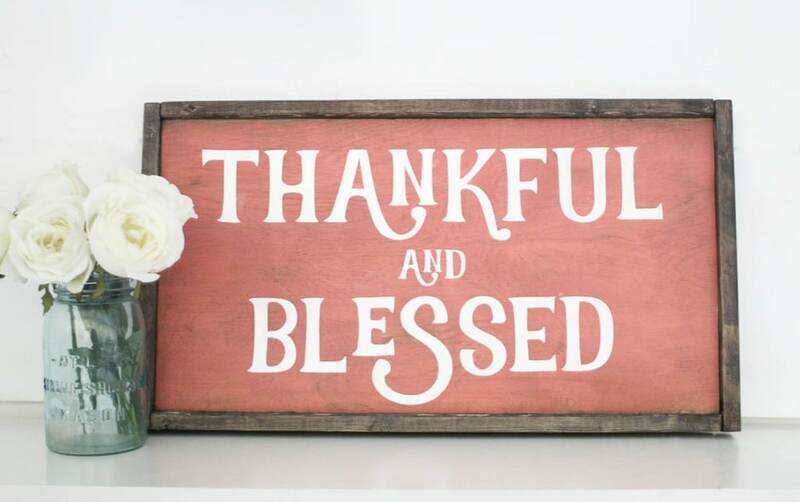 But it is sooo much easier and faster using my Silhouette Cameo. Seriously, it does almost all the work. 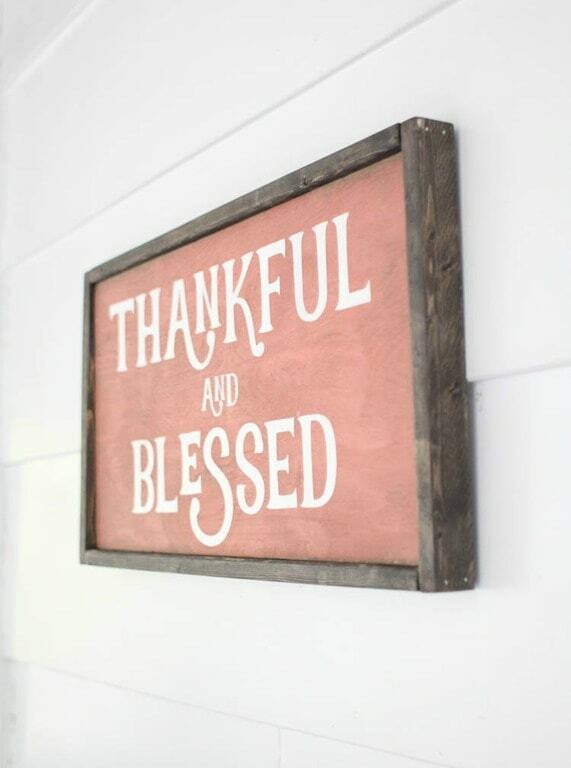 But if you don’t have one, I have a ton of DIY signs you can make without one right here. OK, sorry for the long explanation. This is totally not sponsored by Silhouette in any way. I just wanted to explain why I’m suddenly talking about a DIY tool I’ve never mentioned before. On to the tutorial. 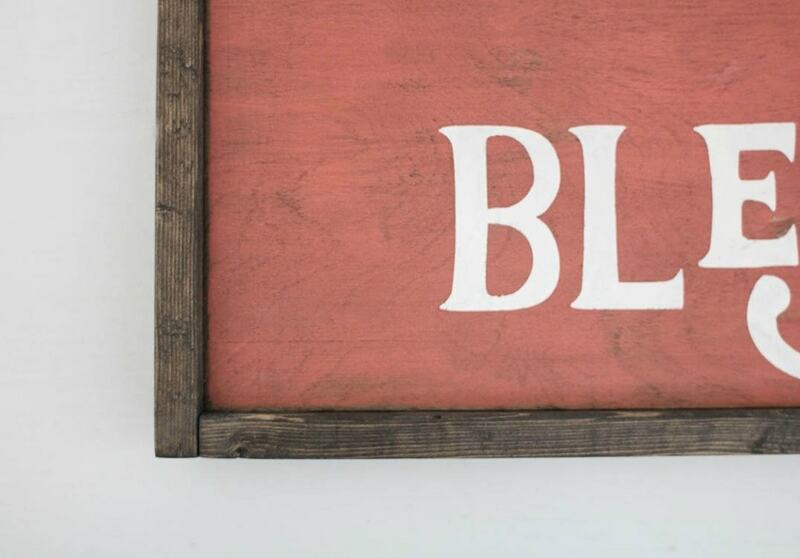 Use a brush or a small foam roller to paint the plywood with your background color. (This is where I used Sherwin Williams Dishy Coral). You will probably need two coats. Once the paint is dry, lightly sand it to reveal a bit of the wood grain. Lightly wipe stain all over the wood and then immediately wipe off the excess using a rag dipped in Mineral Spirits. The stain will stick to all of the exposed wood and bring out the wood grain, but the mineral spirits will keep it from making the paint too dark. Cut your stencil using the Silhouette. You’ll be making two 12×12 stencils that go together to make the full pattern. Download cut file 1 here. Download cut file 2 here. Use a small foam brush to gently dab the white paint onto the stencil. This may take two coats as well. Remove the stencil before the paint completely dries. Slip your sign into the frame and you’re done. And you can find a ton of other painted sign ideas from lots of other bloggers right here.